SuperSport United will be out to bring an end to their losing run in the Absa Premiership when the host Bloemfontein Celtic at Lucas Moripe Stadium in Atteridgeville on Sunday afternoon. 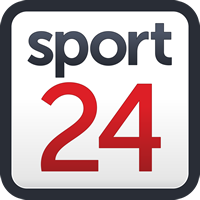 SuperSport suffered a second successive league loss when they were beaten 2-0 at Black Leopards. The Tshwane side has taken just five points from the last 21 up for grabs. Matsatsantsa have claimed 13 points from seven home matches this season, with their last result as hosts a 1-0 loss at the hands of Cape Town City earlier this year. Celtic have taken four points from their two games thus far in 2019, with their last outing a 1-1 draw at home to Golden Arrows n which Kabelo Dlamini netted the Bloemfontein side’s goal. Phunya Sele Sele have claimed 13 points from eight away matches this season, with their last result on the road a 1-0 win at Chippa United earlier this month. When the teams met earlier this season, at the Dr Molemela Stadium in late November 2018, they played out a goalless stalemate. It was a sixth draw from the last seven league matches between United and Celtic. “I think we need to beef up in some areas,” said Tembo. “We have always had problems defensively. We can’t really have an attacking play because defensively we have been very poor. “We played well in patches [against Leopards], but we were not consistent enough. In terms of our possession, we didn’t keep the ball for longer periods and they caught us on transition a lot of times. “Since the beginning of the year we have done fairly well gaining four out of six points,” said Motsamai. Ronwen Williams: With goals hard to come by for SuperSport in recent fixtures, their defence has ironically come under the microscope following successive defeats. In Williams, Matsatsantsa boast one of the best goalkeepers in the league – a player that has saved them on countless occasions over the years and the shot-stopper will be relied on once more to help the club regroup amid a poor run of form that see’s the Tshwane giants toiling in mid-table. Bradley Grobler: The forward’s timely return from injury will come as a massive boost to Tembo who’s side have only scored six goals in their last 11 league fixtures. While their defence has been suspect, their misfiring forwards have been Matsatsantsa’s biggest problem this season. Ndumiso Mabena: Key to Celtic’s attacking play, Mabena not only contributes with goals but valuable assists too while his movement will cause a shaky SuperSport defence a lot of problems. The Siwelele striker will fancy getting on the score sheet once more as Celtic aim to increase the gap between themselves and SuperSport with victory just outside Tshwane. Lantshene Phalane: One of the unsung heroes in the league, the midfielder has played in all but one of the club’s league games this season, featuring in the full 90 minutes in all those matches. Phalane plays a key role in linking defence and attack, and is expected to be in for a busy day against a SuperSport side desperate to return to winning ways.